I had the splendid opportunity to spend my summer working within the Web Tribe at Gousto which consists of teams that are responsible for (as you might have guessed) the main customer-facing website. My experiences at Gousto were valuable not only in terms of honing my technical skillset, but also helping me understand development processes and giving me an opportunity to explore and innovate beyond programming. I still remember vividly my first day at Gousto, walking into the office which was immersed in a healthy background radiation of excitement and energy. While I was more familiar with Java and Android, I was keen on working with the Web Tribe because I had minimal experience with web development and I wasn’t satisfied with learning such a versatile skillset using an online tutorial or from a lecture. Diving straight into the deep end of web development to develop practical skills was, to me, the most effective and fun way to learn. The opportunity to immerse myself in real-world web development and the ability to make a direct impact on the product and the customer, while initially intimidating, quickly proved to be highly rewarding. Working with the Radishes (responsible for components involved with customer acquisition) and the Haricots (responsible for components involved with customer retention) teams provided me with a plethora of opportunities to work with front-end and back-end technologies, ranging from ReactJS, Redux to PHP, Laravel, Eloquent ORM and Python Lambdas — all of which I’ve barely worked with before. This empowered me with the ability to pickup web development skills rapidly, and with a real-world understanding of how web technologies work, I was able to quite quickly contribute to the team. 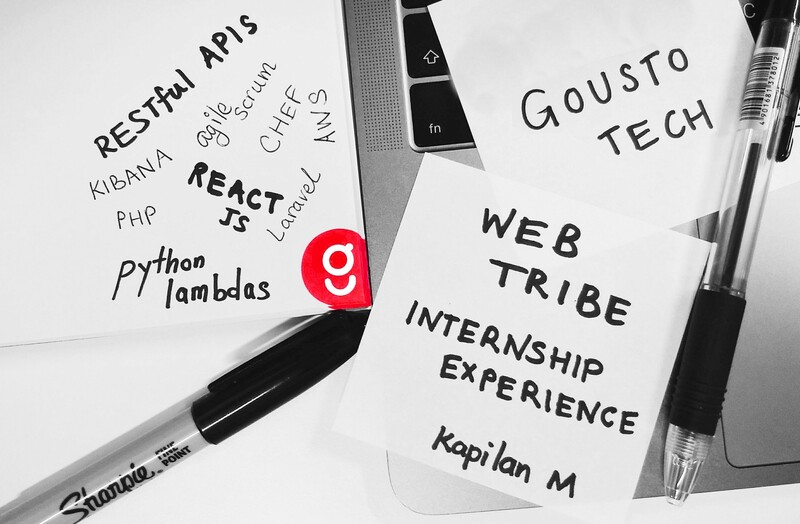 The most thrilling part of the internship was the opportunity to work on features that would be seen and used by thousands of users, hopefully impacting their lives and their user experience in a positive way. 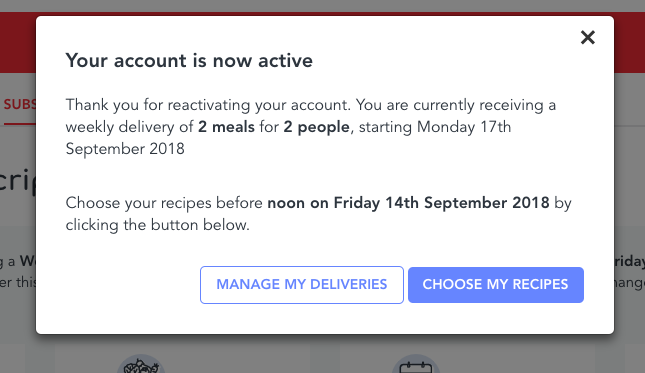 One of the projects that I had the opportunity to be involved in was an effort to make Gousto’s re-subscription process as painless as possible for the customer — with the aim of improving customer retention and customer satisfaction. The updated popup that customers will now see when they re-subscribe. It aims to give them valuable information about when they can choose their recipes. This was one of the several instances in which I had the opportunity to contribute actively to the Gousto codebase. Working on eliminating bugs, improving SEO, improving Gousto’s internal administrative tools, extending Gousto’s micro-services to enable and facilitate the development of new features and building an AWS Python Lambda function to simplify our backend architecture and enable new features were all excellent opportunities for me to dive into a variety of tasks and technologies. I was also provided the opportunity to see a project that my team undertook — from the ideation stages all the way to its implementation. Seeing an idea for a feature go from the drawing board to the JIRA board was especially enriching. 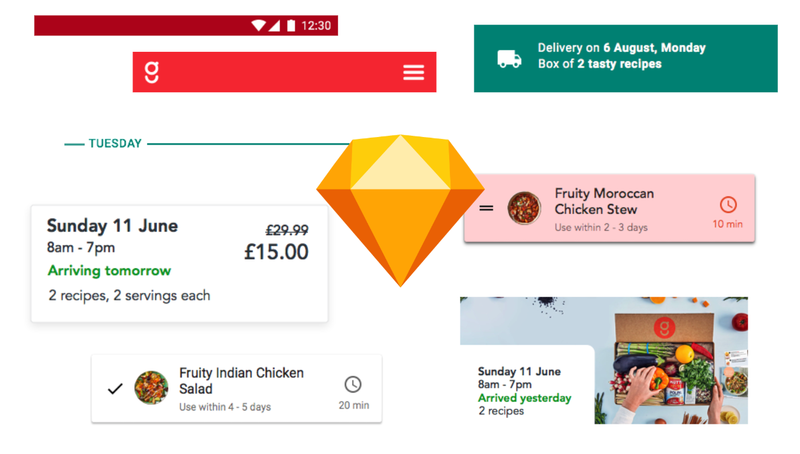 It highlighted to me the different processes that each team at Gousto goes through to make informed choices surrounding the feature at each stage of its development. The feature was designed to make the customer care experience as smooth as possible, by automating key aspects of it and speeding up customers’ interactions with Gousto, helping us achieve mutually desirable outcomes quickly and more frequently. The culture at Gousto was exceptional in making every member of the team feel a sense of ownership over the product that they’re working with — this was exemplified in every tech design and refinement session that I was actively involved in over the summer. I had the opportunity to be involved with UX decisions, stakeholder discussions and discourse over technical architecture which were all extremely insightful and enriching, helping me gain plenty of new perspectives. That feeling of ownership and direction extended to how Gousto implemented Agile Scrum processes, and how it empowers teams to focus on impact while at the same time own the solution. This was my first experience with Agile processes, and James Thomson (our Agile Coach) was extremely helpful in aiding my understanding of the tools and processes that the teams use to make their work more effective. In the same vein, I had the opportunity to work on drafting and refining tickets for the above-mentioned upcoming feature, helping me understand the bridge between the stakeholders and the developers, and the imperative roles and responsibilities of the product owner. Particularly interesting was helping analyze data from ElasticSearch using Kibana Query DSL following a production incident — it highlighted to me the value of maintaining informative logs and taking a data-driven approach to software development and maintenance. Every other Friday, Gousto’s tech team spends its time focusing on learning new technologies, thinking out of the box for innovative ideas and exploring previously uncharted thought spaces. I decided to spend my Tech 10% Fridays working with the Digital Product, UI and UX team, to gain a better understanding of the data-driven ideation process for product development. I gained a better understanding of the user experience, user journeys and the product’s touchpoints. I had the chance to take an idea from its infancy, put it through its paces and develop it into a vision with clear objectives and designs. I then had the opportunity to work with the UI/UX team to build an interface for it, and understand how exactly it would be designed and user-tested to bring value to users and make their lives easier. This experience gave me immense insight into decisions that go behind digital product, and exposed me to a variety of perspectives outside of the perspective of engineers which was particularly enriching and refreshing. TL;DR I deeply enjoyed my time working at Gousto as it has empowered me to pick up a plethora of technical skills in the realm of web development, as well as exposed me to a variety of important non-technical skills and perspectives which were imperative to my growth as a software engineer. An extremely approachable management, an open-minded team and an adventurous and collaborative culture made my time at Gousto extremely valuable and enriching, and I am grateful to have had the opportunity to spend my summer here. Feel free to reach out to me on LinkedIn!